Lewis Batchelar Landscapes 2018 (detail). Blown glass, murrine, lathe worked and pumice finished. 41 x 19 cm (tallest). Photography by Michael Haine. Jeremy Lepisto Structure 2 (from the Aspect series) 2018 (detail). Kiln-formed and fabricated glass. 25.2 x 25.2 x 25.2 cm. Photography by Rob Little. Marc Lieb Reminisce 2018 (detail). 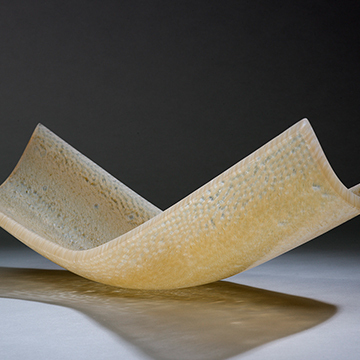 Glass, kiln-cast, kiln-formed murrini, kiln-formed, cold worked. 75 x 22 x 19 cm. Photography by Victor France. Now in it's 17th year, the Tom Malone Prize continues with the support of Ms Sheryl Grimwood, AGWA Foundation Benefactor. Mark Eliott announced as the winner of the 2019 Tom Malone Prize. 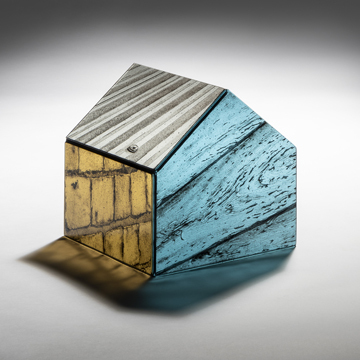 The winner of the 2019 Tom Malone Prize for Australian glass artists is Mark Eliott for his work Down at the water table. As an acquisitive prize, Down at the water table becomes part of the State Art Collection where it will join works by previous winners: Clare Belfrage, Gabriella Bisetto, Charles Butcher, Cobi Cockburn, Brian Corr, Mel Douglas, Deirdre Feeney, Kevin Gordon, Marc Leib, Jessica Loughlin, Tom Moore, Nick Mount and Benjamin Sewell. Down at the water table was selected as the winning piece from a competitive shortlist of twelve works by Australian artists including Mark Eliott (NSW), Clare Belfrage (SA), Jeremy Lepisto (ACT), Marc Leib (WA), Jennifer Kemarre Martiniello (ACT), Nick Mount (SA), Matthew Curtis (ACT), Liam Fleming (SA), Kayo Yokoyama (NSW), Anne Sorensen (WA), Stephen Skillitzi (SA) and Lewis Batchelar (SA). Lewis Batchelar Landscapes 2018 (detail). Blown glass, murrine, lathe worked and pumice finished. 41 x 19 cm (tallest). Photography by Michael Haines. Clare BelfrageQuiet Shifting, Orange and Pale Green 2018. 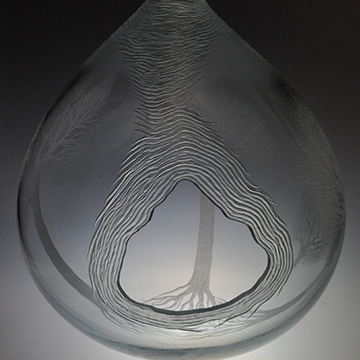 Blown glass with cane drawing, sandblasted and pumice polished. 58 x 38 x 22cm. Photography by Pippy Mount. 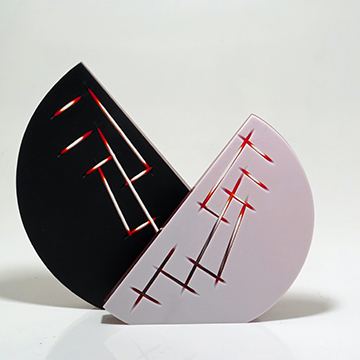 Matthew Curtis Intersect Neodymium Gold 2018. blown, fused, carved and tinted glass, stainless steel frame. 44 x 62 x 22 cm. Photography by Rob Little. Mark Eliott Down at the water table 2018. 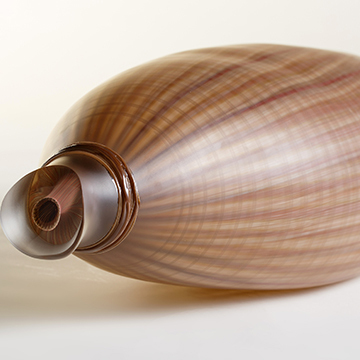 Borosilicate glass – blown and hot sculpted, recycled Australian Red Cedar, water. 58 cm H x 69cm W x 16 cm. Photography by Richard Weinstein. Liam Fleming Blow horn #4 2018 (detail). 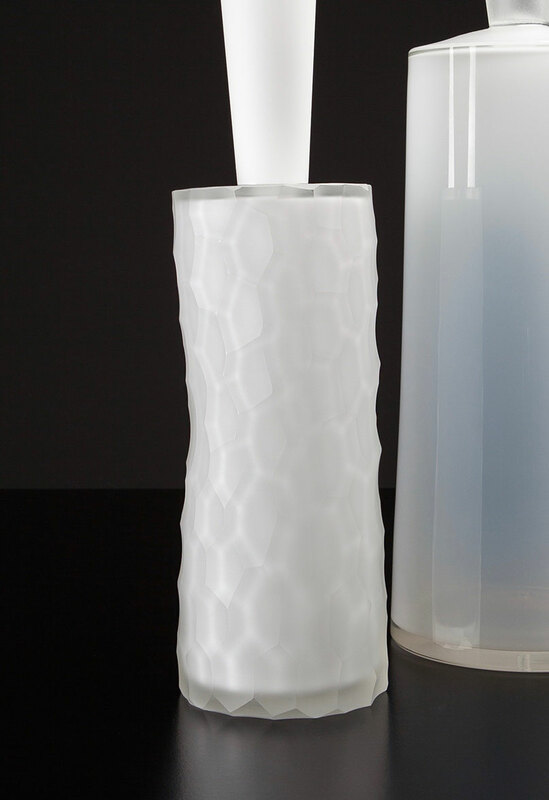 Blown glass, coldworked. 160 x 25 x 25 cm. Photography by Grant Hancock. Jennifer Kemarre MartinielloRed Sedge Reeds Fish trap 2018 (detail). Hot blown, and cold worked glass with canes. 85 x 34 x 13 cm. Photography by Art Atelier. Jeremy Lepisto Structure 2 (from the Aspect series) 2018. Kiln-formed and fabricated glass. 25.2 x 25.2 x 25.2 cm. Photography by Rob Little. Marc LiebReminisce 2018 (detail). 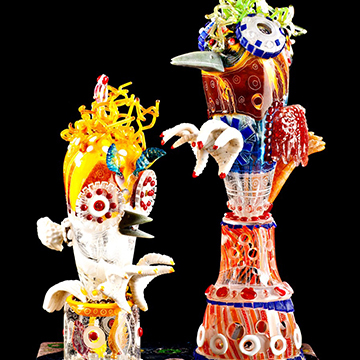 Glass, kiln-cast, kiln-formed murrini, kiln-formed, cold worked. 75 x 22 x 19 cm. Photography by Victor France. Stephen Skillitzi Birds not of a feather- unflocked 2017 (detail). 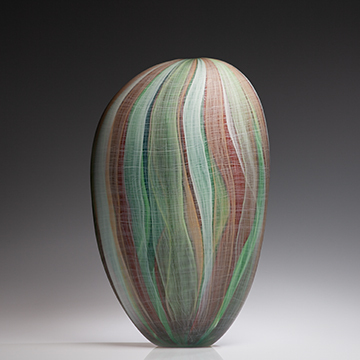 Glass: blown (furnace and lampwork), cast. brass. Assembled. 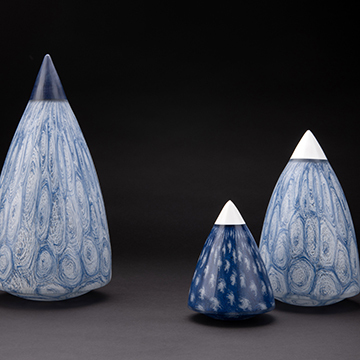 Glass: blown (furnace and lampwork), cast. brass. Assembled. Photography by Victor France. Anne Sorensen Same, same, but different 2018 (detail). Glass, kiln formed. 27 x 28 x 7 cm. Photography by Barry Sorensen. Kayo Yokoyama Myth of the cave 2018 (detail). 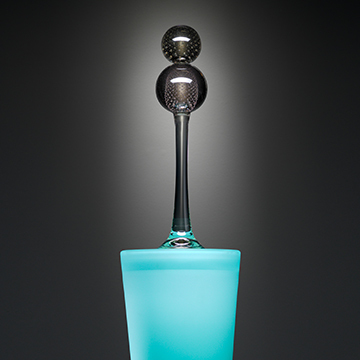 Hand blown, hand engraved, sandblasted. 38 x 33 x 33 cm. Photography by Keith Rowe. 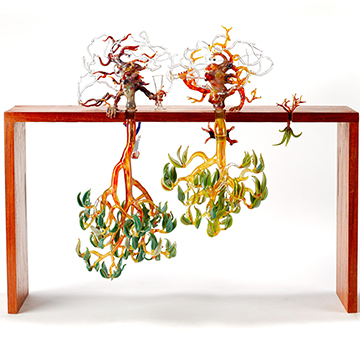 "Glass is one of the most exciting and dynamic art forms in this country. It is a uniquely captivating medium, capable of almost endless transformation. 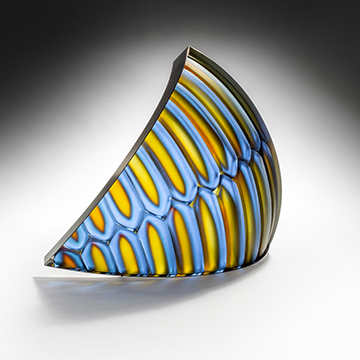 Glass provides a perfect vehicle for the exploration of a range of themes, from the personal to the observational."